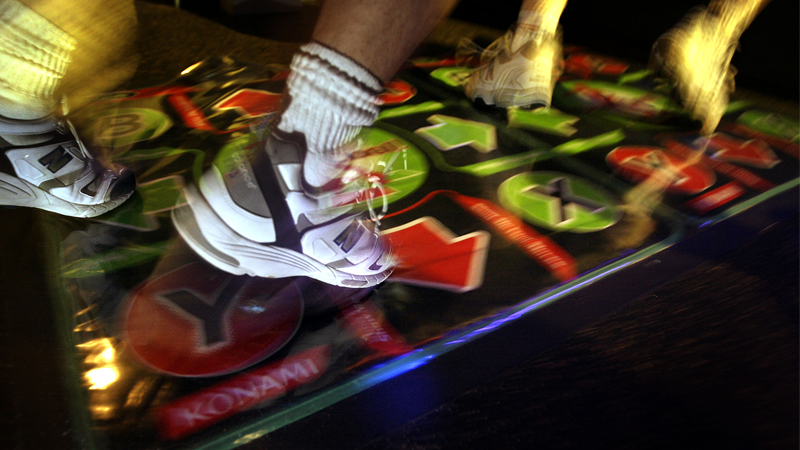 I don’t know why io9's Getty subscription included this blurry 2004 shot of people’s feet on a Dance Dance Revolution cabinet, but I’m very glad it did. The very thought of turning Konami’s iconic rhythm game into a movie is already patently absurd. But new plans seem to hint that idea was apparently not deeply silly enough. Variety reports that Konami—known for things like Metal Gear Solid, Castlevania, and firing Hideo Kojima—is partnering with Greg Silverman’s Stampede and the wonderfully generically named Branded Entertainment to launch a movie franchise based on Dance Dance Revolution. Konami launched the arcade classic 20 years ago, and has released a whole host of games in the long-running franchise in the decades since. The project will explore a world on the brink of destruction where the only hope is to unite through the universal language of dance. I’m sorry, what? Are we getting an apocalyptic disaster movie where people have to save the world through dancing? God, please. Please do this. I don’t think I really understood that I needed a sci-fi-adjacent apocalypse movie about the power of sick beats and smooth moves. But it turns out, I do. Let the Dance Dance Revolt begin!